- German business confidence rebounded by more than expected in March, in a surprise contrast to the weak business surveys that rattled global markets on Friday. However, it corroborated the gloomy mood in the country's key manufacturing sector, and noted that any improvement in sentiment was due largely to domestic-focused sectors such as retail and construction. The Munich-based Ifo economic institute said its business climate index, based on a monthly survey of companies, edged forward to 99.6 from 98.5 in February. February’s reading had been the lowest level since November 2014. The reading beat economists’ expectations for 98.7 and was the first improvement in seven months. The subindexes for expectations and current business conditions both improved. “The German economy is showing resilience,” Ifo president Clemens Fuest said in a statement. Germany, the world's second-largest exporter, is exposed to a downturn in global demand, not least through the risks of a trade war between U.S. and China, the U.K.’s departure from the European Union and threats of higher tariffs on German-made vehicles from U.S. President Donald Trump. "In view of declining demand, companies are hardly planning any increases in production," the institute said. By contrast, conditions in retail and wholesale trade improved to their best since May 2018. Data released last Friday showed that Germany’s activity in the country’s manufacturing sector contracted at its sharpest pace in nearly six years in March, while hard data on output and orders for January - the latest month available - also fell short of expectations. In Ifo's survey, too, responses from manufacturers continued to deteriorate, with expectations falling to their lowest level since November 2012, Ifo said. Carsten Brzeski, ING's chief economist in Germany, called the news a "tentative signal of relief" for the motor of the euro zone's economy. "Looking ahead, today’s Ifo index ends a period of pessimism and suggests that not all is bad in the German economy... the first quarter for the German economy might not be as weak as some have expected," he said. 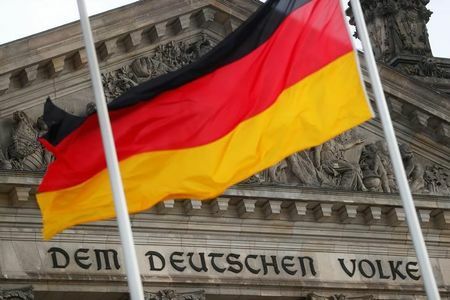 The German Council of Economic Experts, also referred to as the “Five Sages”, last week slashed their 2019 German growth forecast to just 0.8% from their November forecast of 1.5%. The German economy underwent a marked slowdown in the fourth quarter, narrowly avoiding a second straight quarterly decline, the technical definition of a recession.